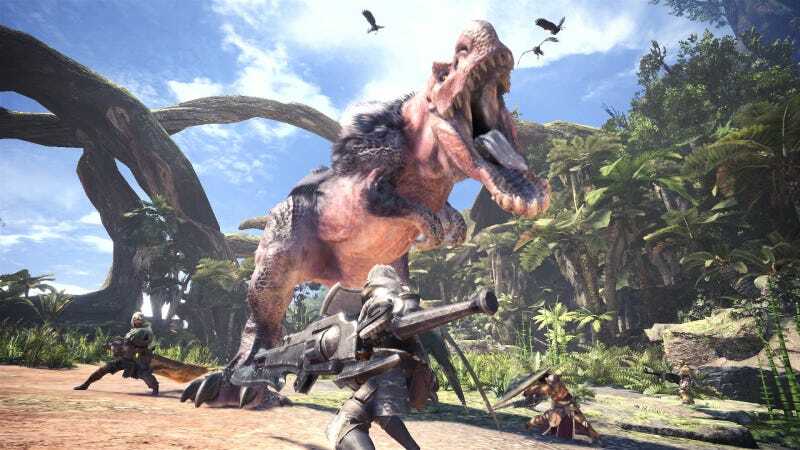 Capcom Says Bringing Monster Hunter: World To Nintendo Switch Would Be "Difficult"
Monster Hunter: World is a smash hit. But the game is currently only playable on the PS4 and Xbox One. Wouldn’t it be great to play it on a system you could carry around? You know, like the Nintendo Switch? That, Capcom says, would not be easy. “Each game console as its own characteristic, and it’s necessary that we, as game makers, adapt to that when making [a game],” Tsujimoto explained. This doesn’t mean Capcom is ruling out another Monster Hunter for the Switch, even if Tsujimoto didn’t explicitly say Monster Hunter: World.